Sailboat ownership was new territory for Prairie Girl. She was so busy getting the new school year launched, that she barely had time to perseverate on the fact that they now owned their very own Catalina. Warm, fuzzy feelings descended upon her whenever she’d mention to her colleagues and parents at her school that they were now proud sailboat owners! (Oh yeah, she was still locked into her rosy vision of the beautiful people sailing in white, flowing nautical clothing, sipping champagne in the evening under the stars.) Obviously not grounded in reality! DUH! Instead of seeing a Catalina 27 that had had better days, she was transporting herself down the coastline on an imaginary 50 foot yacht. Something had to burst that bubble! Reality hit the day husband announced they’d be moving their boat from Granville Is. 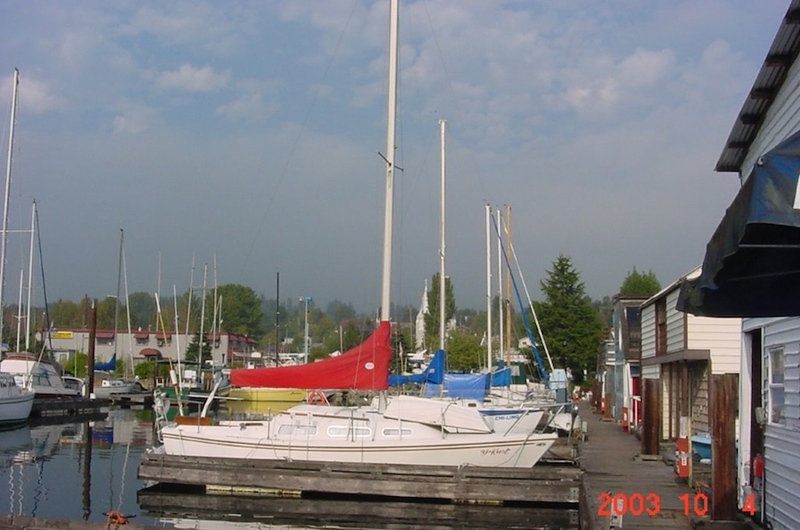 over to a marina in North Vancouver, just a couple of blocks from their apartment. He wanted it close by so that he could check it often and work on the boat projects that were needed. (By then, husband had quite a list, as being a German, he has a thing about all his possessions being kept like new.) Of course, Prairie Girl had no idea what moving the boat entailed, so she innocently invited her youngest son and his friend (who did know something about boating) along for the crossing. They no sooner got out into English Bay with the current running against them, that husband experienced abrupt motor failure. It was an outboard motor that had to be hand started (you know, like a gas lawn mower), and then it appeared that he had flooded the thing from too many pulls. It took a few minutes to realize that the towing rope for the dinghy was not a floating rope, and as husband had slowed down, it had tangled in the prop. Within seconds (not minutes), it was apparent that the current was pushing us toward shore. And to make matters worse, husband was preoccupied with trying to steer a boat without power and holding up the outboard motor with his other hand so that Prairie Girl’s son’s friend could hang over the stern, trying to get the rope untangled. (Imagine her sudden realization that there was more to sailboat ownership than interior design and popping champagne corks!) Her son was equally traumatized, having had no experience whatsoever on a sailboat, either! Safety had never crossed her mind, as husband was always so calm and controlled. Thankfully, they somehow got the motor prop free, once again, and the engine miraculously started! By then the winds were whipping them around, the motor was revving against the incoming current, making it difficult to make any headway, whatsoever. They’d missed the slack water opportunity and were forced to cross under the Lion’s Gate Bridge at less than an optimum time. In fact, they shot under the bridge like an out of control rolling log! What Prairie Girl envisioned (a calm, lovely picnic in the bay) and the reality of getting the boat into its resting place, were completely polarized. Husband and Prairie Girl sent the boys on their way and locked up their boat. They trudged home in silence, prepared for bed, and fell fast asleep from exhaustion. It was only 6:00 pm.! 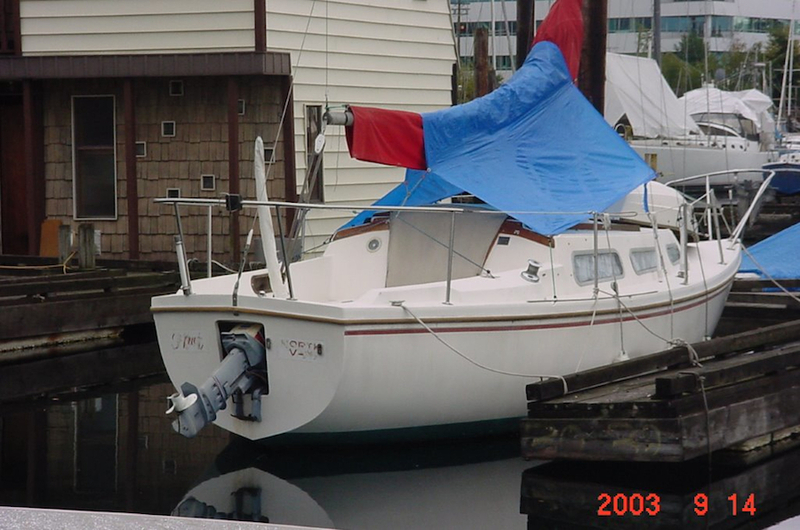 Could Prairie Girl be having second thoughts about sailboat ownership? Blimey, they hadn’t even hoisted the sails yet! The SHOW is over! Everyone’s back in their boathouses. Thanks for visiting and sharing TENDER TUESDAYS!